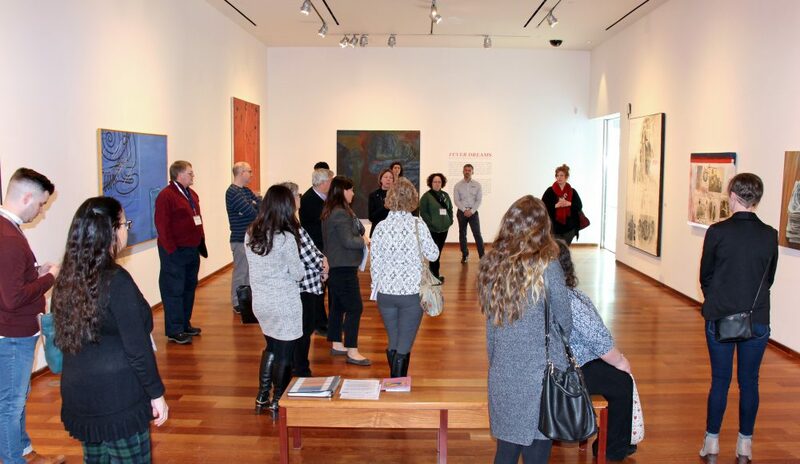 On January 25, The MacLaren Art Centre hosted delegates from the Canadian Museums Association’s Museum Enterprises Conference, an annual conference held this year in Toronto from January 24 to 26. 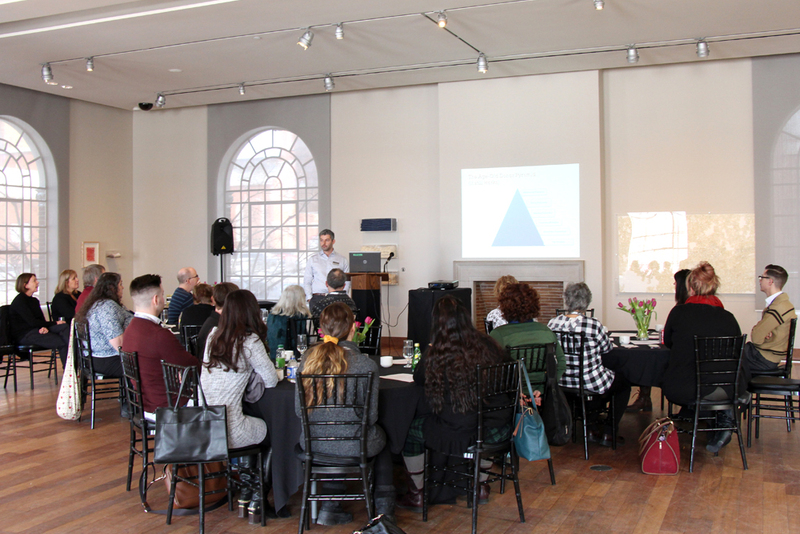 Seventeen museum professionals, representing art galleries, heritage sites and museums from across Canada, travelled to the MacLaren for a full-day workshop comprised of guided exhibition tours, behind-the-scenes building and collection tours, a hands-on art activity, framing demonstrations and presentations on special event fundraising, the Gallery Shop, Membership services and facility rentals. 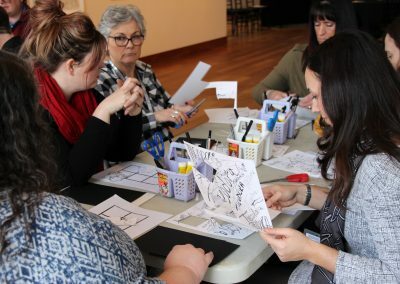 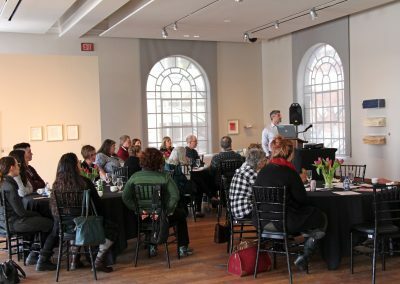 The annual CMA Museum Enterprises Conference focuses on exploring solutions to generate revenue and increase visitor satisfaction in museums. 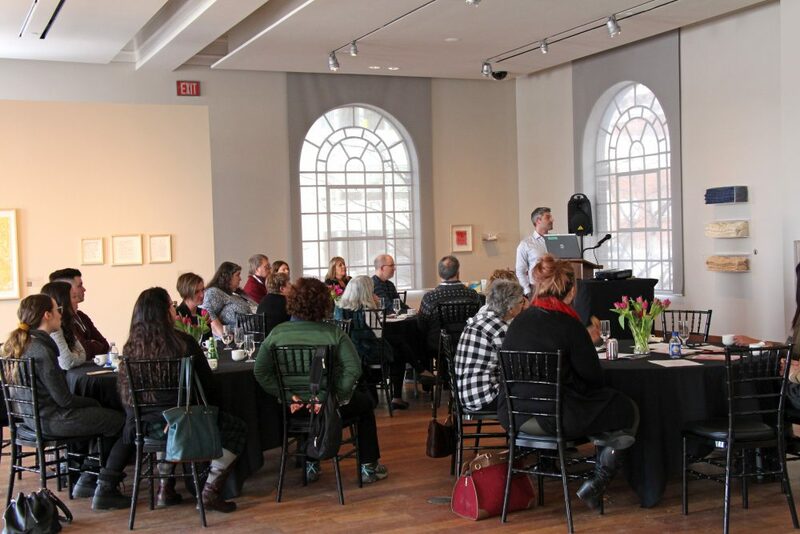 During the conference, retail and visitor engagement professionals share insights and take advantage of workshops and seminars designed to enrich museum visitor experiences and to help museum professionals hone their entrepreneurial skills and maximize the retail activity at their institutions. 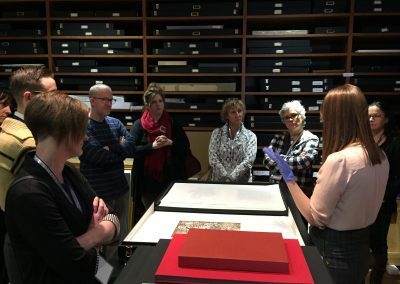 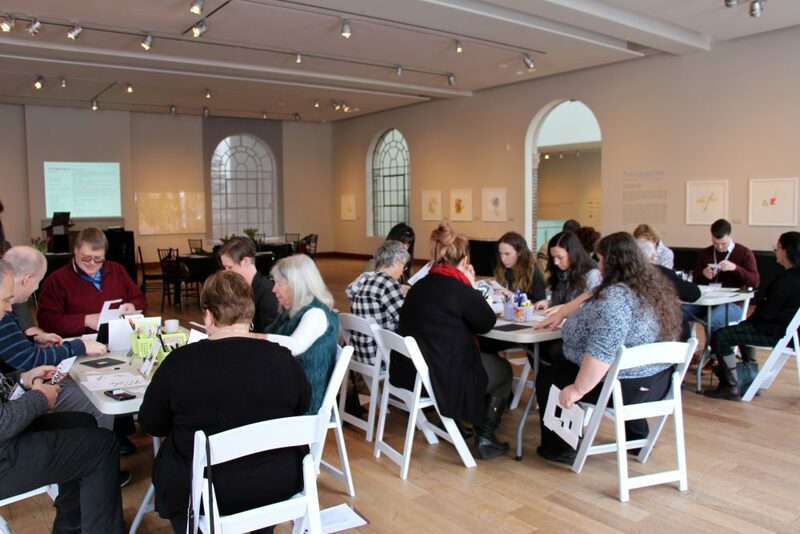 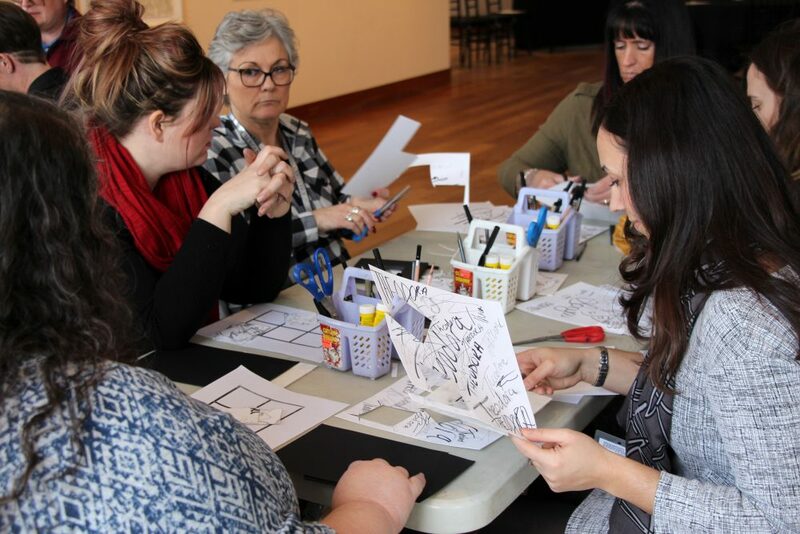 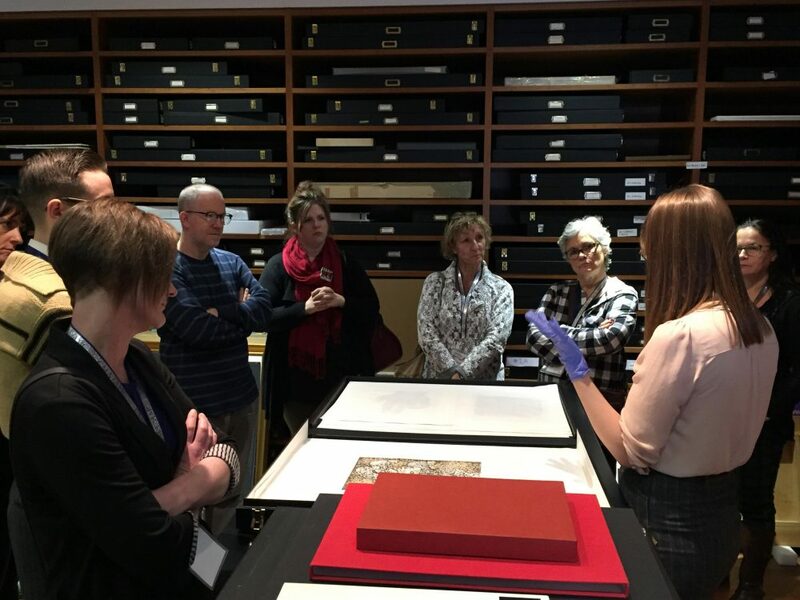 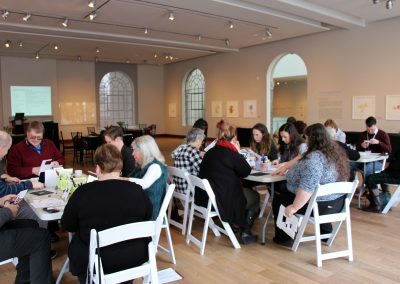 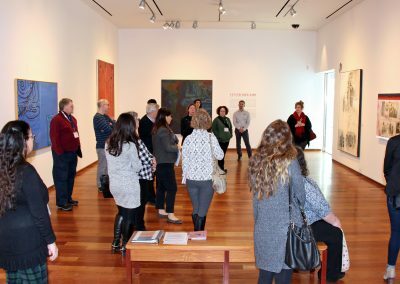 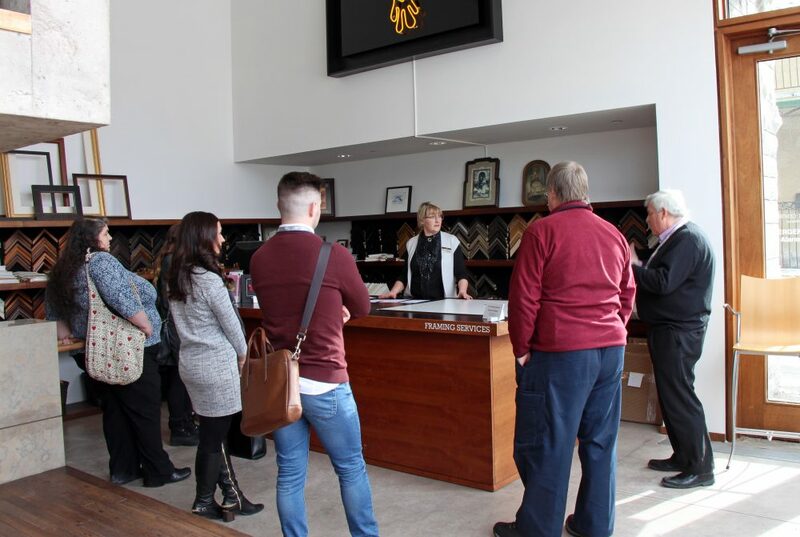 It was a terrific opportunity to share what we have learned with our fellow museum professionals and we were honoured the CMA chose the MacLaren as the destination for this year’s “Offsite Learning”.